I've just returned from a few amazing days in Vietnam. Those stories, however, would be incomplete without the context of two remarkable women: Giang Dang and Hang Mai. 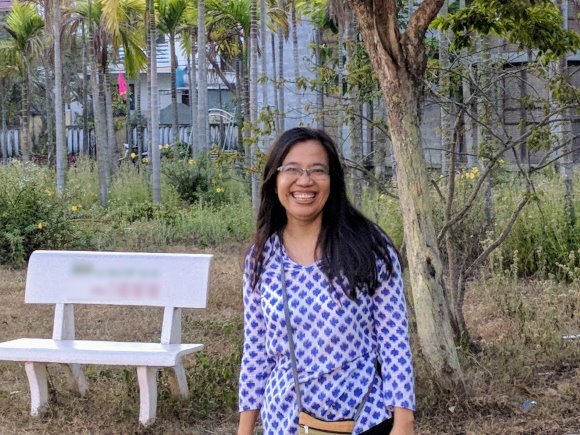 While I stood in immigration lines at the Ho Chi Minh International airport, Giang was waiting outside for a fairly long while. When I saw her, the first thing she said was, "I sent love to everyone who walked in before you." That's the kind of person Giang is. Many moons ago, she used to work at a multi-national aid agency; she left and started her own organization, Action for the City. At one point, they had 17 staff. Seeing herself drown in the superficiality of financial capital, she expanded to "multiple forms of capital" -- part of the staff salary came in vegetables that they grew together. Down that path, she downsized to just a few paid staff and "lot more volunteers". She turned her city office into an art studio. 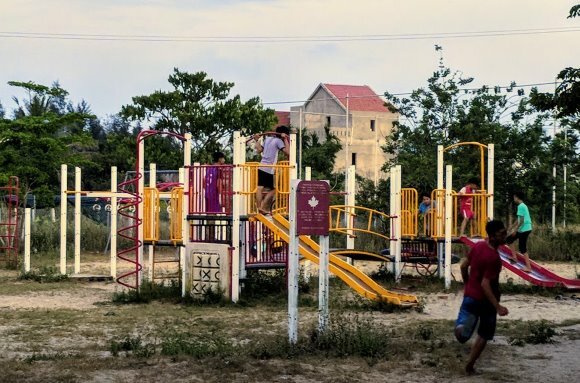 In rural Hoi An, they took over a barren piece of land and "saved it from yet another high-rise" by involving hundreds of local volunteers to build a playground, soccer field and community center -- and planting lots of trees. One of their most popular workshops roughly translates to 'School Without Walls'. It's a 10-day program that involves farm work, local volunteering, compassionate clowning, spending a day without any money or cell phones, conversations with elders and a whole lot more. For 25 spots, more than 800 students apply. 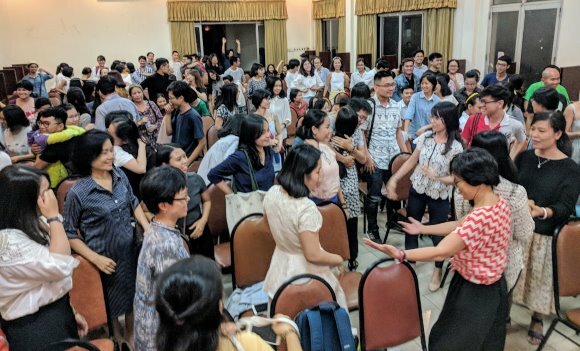 Hundreds of their alumni are now blooming as change-makers across different parts of Vietnam. Yet, Giang wants to step it up. "When we refused the funding, our donors couldn't believe it," she says with an impish smile. :) What do you mean? "We decided that everything will be offered as a gift. If students are moved sufficiently, they will pay it forward. We start this December." 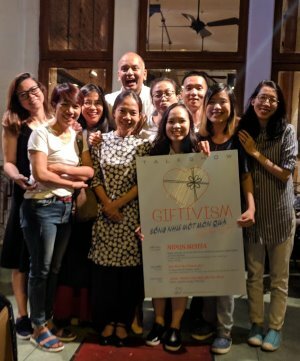 Giang has long been a ServiceSpace volunteer, and frequently shares how its values have changed her life. Every day, she reads DailyGood and sometimes translates the articles into Vietnamese. Avid KarmaTube viewer. She has watched practically all of our public talks. Two years ago, she came to "Gandhi 3.0" retreat in India, and more recently, completed a six-week Laddership Circle. Minh, her brother who is also a "full-time volunteer" with Actions for the City and has translated Smile Cards into Vietnamese, while dropping me off on his scooter, tells me, "After Giang came back from the retreat in India ... she was different. She really believed in love a lot more. It has changed all of us." In the backyard of her home, there's a little wooden box with an indigenous shrine. "For the fishermen in this area, this was a very significant thing, so we decided to retain it. To this day, before the fishermen go to sea, they will just walk into our yard, do their prayers in front of the shrine and head out," Giang explained. In their community, many neighbors hang a little bag on the front gate with some of the produce from their yards -- for other neighbors to take as a gift. It's not surprising that she's full of such stories, given her expansive heart of inclusion and kinship. As Giang rightly puts it, "Hang Mai is a force of nature." On the face of it, Hang Mai is one of the pioneering social entrepreneurs in the country. She runs Xanh Shop, that delivers farmer produce to urban populations. If you didn't know Hang Mai, that would sound like a typical startup -- when it's actually far from it. Seeing the massive destruction of nature all around her, her original mission was to uplift farmers and raise awareness about organic food in the cities. She generated ample demand but had to work on the supply side -- coaching farmers in natural farming and streamlining their processes. Xanh Shop's financial ledgers were transparently shared with everyone and anyone, and they would tell farmers, "This is the value-add we're providing. But if you do this yourself, you can make more money." She has a small staff, but Hang-Mai says, "It'll always be small." I'd imagine that if someone offered her ten million bucks, they'd enjoy the same fate as that friend in Costa Rica. :) "My goal is not to grow Xanh Shop," she emphatically notes. Instead, she grows people and then nudges them to start their own projects. Like Anh, who used to work for Hang-Mai. She grew up in a village, got educated, finished her Masters in France, but then went back to her village to support her broken family. It's an a rather courageous story, and an uncommon one. Now, she's supporting farmers with her own social enterprise. 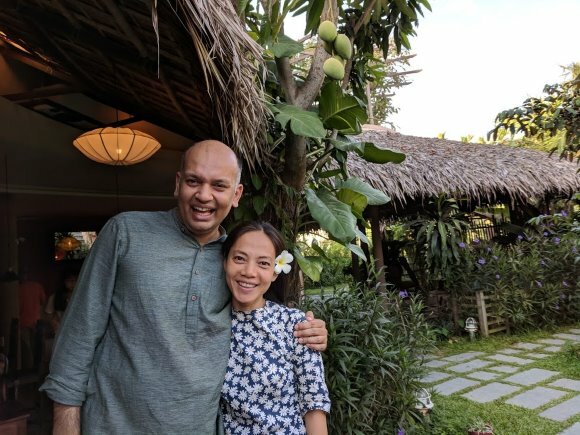 "When Anh told me what she wanted to do, we gave her money to start," Hang-Mai mentioned casually. It was a big amount of money, so I naturally prodded, "Oh, so you're doing investments too?" With her big eyes, she peered back at me: "No! Just gave it as a gift." Nine months ago, Hang-Mai mother passed away; few moments before she passed, she asked Hang-Mai to lift her up, she sat in half-lotus posture and started meditating. She then passed peacefully. 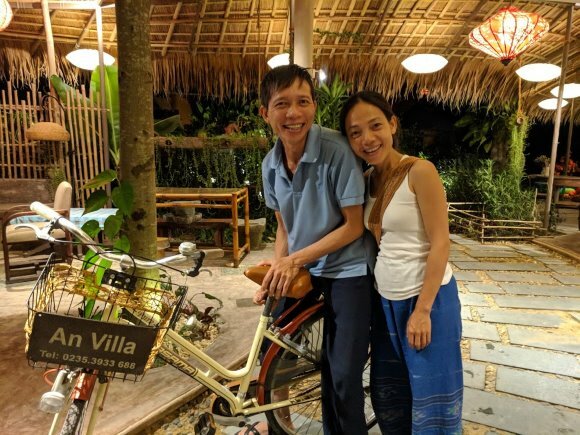 In Vietnam, they believe the spirit of the deceased is still around for 49 days after death, and so Mr. Chau (as we call him) and Hang-Mai got married in that time to receive her mother's blessings. For their honeymoon, they traveled the length of the country in an old truck that someone gifted them. The truck wouldn't go more than 40 km/hr, but slow is the perfect pace for them. They would stop at a farm, pick up seeds, and then pay forward to the next farm. Sometimes it was more than seeds too. When they returned to their 2-hectare farm, they decided to build a house purely from what people had thrown away. All their friends came by to help them build it. 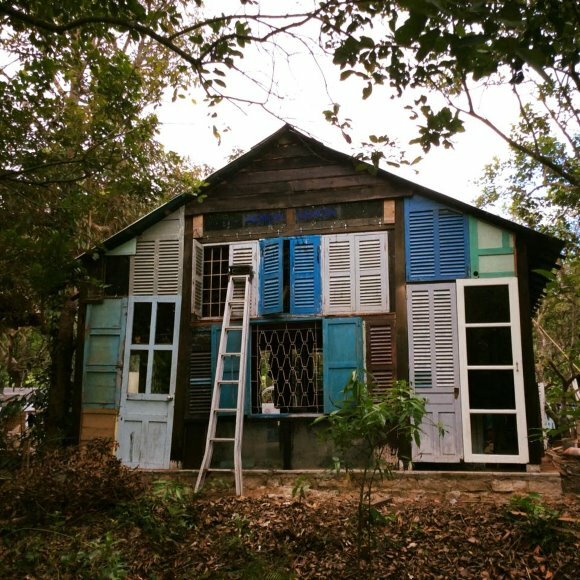 As they spread the message about a natural lifestyle, they hope to offer their farm as a permaculture sanctuary in an otherwise consumeristic world. 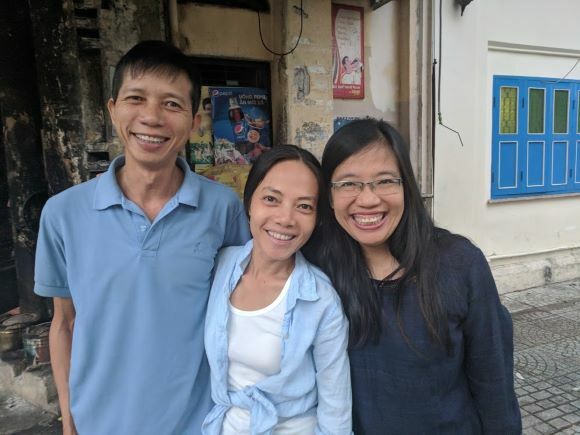 Like Giang, Hang-Mai also feels very deeply connected to ServiceSpace, has dived deeper into a Laddership Circle (that she wants to offer in Vietnamese), and continues to be a great ambassador for its values. Inspired by Awakin Circles, she is really keen to support various other youth, farmer, teacher, and entrepreneur circles as well. So here I am. My first hour in Vietnam, with my two sisters and Mister Chau. 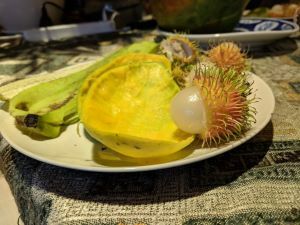 In front of me is a giant papaya, rambutans, mangoes, and bananas -- all from Hang-Mai's farm. Our event starts in about 2 hours. It was an elevated event. Hang-Mai, who was donning her tank-top originally, was gifted a replacement top (made by a local NGO) by the event host. :) Giang's translations were truly epic, attracting repeated rounds of applause. Q&A was lively. Everyone stayed super late, hugged with reckless abandon, and paid forward flowers from my bouquet, as the awesome posse of volunteers went to a late-night dinner for laddering the many ripples from the evening. The overwhelming feeling in my heart was -- generosity is universal, connection is universal, compassion is universal. Almost like magnets, Giang, Hang-Mai and ServiceSpace journeys gravitated into unison. To serve others. In giving, we keep receiving and the beat goes on. On the way back home, we found a 500,000 Dong bill on the street. That's 25 USD. And we, of course, decided to pay it forward. Thank you, my dear sisters. I couldn't have imagined a better welcome to Vietnam. Dearest Nipun bhai,thank you for sharing your reflections and journeys of sisters and brothers from across the lands in the spirit of universal good! You made Giang's graceful presence alive even in virtual space... Bows of gratitude. Wonderfully penned reflections of two beautiful flowers. Thank you Nipun. I'm very lucky to meet Nipun in "giftivism" talkshow and his stories, his generosity inspire me so much. Thanks for his sharing. We're very pleased to welcome Nipun to come back Vietnam. I loved this story about this three wonderful, love-filled and loving people. Thank you for sharing your story and all the wonderful photos. ♥ Congrats and best wishes to Hang Mai and Mr. Chau! I love your new house, especially. =) ♥ Sending love to Giang too. The playground you all created is beautiful! 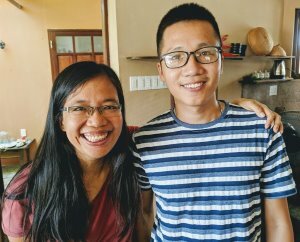 These stories are so inspiring and uplifting, thank you, Nipun! ♥. Thanks for sharing this Nipun! Wow! Love seeing Service Space in Southeast Asia! This story, the words the photos, all of it is just awesome stuff! And I love your realization that generosity, connection and compassion are universal! thank you is not enough for all the wonderful women and men here!they've done a huge workload to keep the movement and now still pay it forward. thanks Nipun for your stories. best luck to you all! Thanks Nipun for your hearty sharing of what you experienced. I seem at Vietnam enjoying the event with you all. Thanks Giang, Hang-Maiso and people around you. My feeling is so wonderful and warm, which gave my life with holistic spirit. Thank again.